I wish to board your vessel. There have been some complaints ! It would appear that there is someone who has a vested interest in the Stateroom who has received Morse Coded reports that the room is being misused. We are here to investigate. Now - please step forward ..ummmmmmmm Mr Penguin - we have some questions for you! 2:47 Good evening/morning everyone. What a funny looking man, he's got a rather strange face!! 1:53 this morning. On to medium and hard then off to bed. Is the Lady Sudoku still cruising? Good Maen to all. Cute Kitten. 2:25 Shows the importance of getting enough calcium during the formative years. Very cute! Had a good time going,But forgot to start the clock. Must still be sleeping. 2:31 Meow... eyes opened for the first time? Do I see a cat? No, it's just a kitten! When is the cruise over? Did you bring Queen C with you? The State Room belongs to her you should know. Good morning. Beautiful day to enjoy. Why is the sea snail afraid of the penguin?? 3:55 So slow today. Hi to all - What a sweet kitten! yet it keeps on singing! Kitten drowning in cream: Saved! 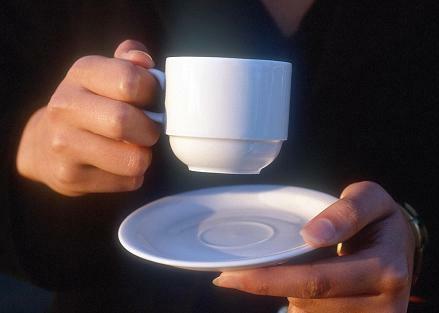 Consider the tea cup: does it really matter what it looks like? How pretty, expensive, fancy, old, battered, or out of date it is? What really matters is the tea it holds. Is that cream or shaving cream? Washed that poo right off of me. For giving me such a long beatin'. Do you need that spelt? 2:57, and that boy is too young to start shaving! I agree, but I usually drink coffe in the am. and save my tea for evening relaxation time. What tea is your favorite? Oolong, or what's that English breakfast tea? I also fancy herbals. Exotic Diamond, I am here, find me if you can! Kat - I usually drink Dilmah or sometimes Nerada when at home. I drink the odd cup of coffee during the day.